Although now a successful entrepreneur from Manchester, England, it wouldn’t be unusual for someone to be surprised at James Lavelle’s accomplishments given the nature of his dysfunctional and negative nature when he was young; in fact, he was expelled from high school with his teachers’ harsh words, “you’re not going to amount to anything”, still ringing in his ears. James was heading down a dark path during his teenage years between the drinking, the drugs, and the multiple run-ins with the law. When his Dad passed away however, he knew it was time to change or else he would be stuck as a product of his environment. So, he left home and everything he knew to join the British Army. Entrepreneurship eluded James for fifteen years while he successfully served his country, earning awards and medals for his honor. In 2013 though, James stumbled upon the first Network Marketing company he would join through a Facebook post. He sold health and wellness products through this company part-time, whilst still serving in the Military. In just four short months, his part-time business online was earning him twice as much as the income from the Military, and in seven months, James became the fastest person to hit the top rank in the company. It was then, when he was making more money in one month part-time than his annual Military income, that he took the leap of faith and pursued entrepreneurship full-time. James was with his first Network Marketing company for nearly three years when he walked away to join another – the one he is currently with today. People called him crazy, for he was going from making six figures to starting all over somewhere else, but he recalls no longer believing in the vision; it didn’t bother him, however, for James believes that, “vision is the art of seeing something that is invisible to most others”. Again, in four record months, James became the fastest growing business worldwide in his company, as well as being the fastest to ever earn “Founder’s Club Status”, the highest accomplishment awarded by his company. Q: What keeps you so dedicated day in and day out? A: This is twofold. My little girl is 7-years old and is the biggest gift in my life. She was my catalyst for change. I remember being broke in 2013 and living in a tiny, first floor apartment and generally feeling like a failure as a father. My little girl used to look out the window at other kids playing in their gardens, and we didn’t have a garden for her to play in. Disappointment like that hurts. The desire to create a better future for Lacey Mae was the fuel that lit my journey. She is my inspiration and I keeping wanting to be a better in all areas of my life, as I’m know I’m the on setting an example for her. I take that responsibility very serious. My other why is selfish… I’m my own why. I’m addicted to growing. I just want to be better in all areas of my life – Mind, body and spirit. I’m not after perfection, just progress. When I’m improving, I am successful. James believes success to be defined by freedom and contribution, not necessarily by the amount of money someone makes. When you can create a life that you can truly live on your own terms, while helping those around you obtain the goals they’re working so diligently for, you are successful, and that is what he loves so much about the industry he’s in; you cannot create the success you want without assisting others to do the same! 1. Ruthless consistency is your best friend. Talent isn’t enough. Execute the little disciplines that pay, every single day, consistently and over a long period of time. In this industry, it’s those who learn to master the mundane that create long term wealth. 2. Energy is EVERYTHING! Create it, protect it, and share it. Your energy is your superpower, and once you get great at sharing it, you will start to create your tribe. 3. Get a mentor! Success leaves clues, so humble yourself enough to realize that many people before you have created what you are hoping to. I read somewhere that you are 500% more likely to succeed if you have the right mentor; if that doesn’t motivate you enough to learn, I don’t know what will. 4. Go long-term! You cannot create long-term wealth with short-term thinking. This business is not a “get rich quick”, it’s a “get rich steady”. 5. Buy yourself a mirror if you don’t already have one. My mentor taught me the best tool for business is a mirror. I interpreted that as taking total responsibility for my actions, business, and life. Whining, blaming, and finger- pointing is only going to hold you back from your greatness. 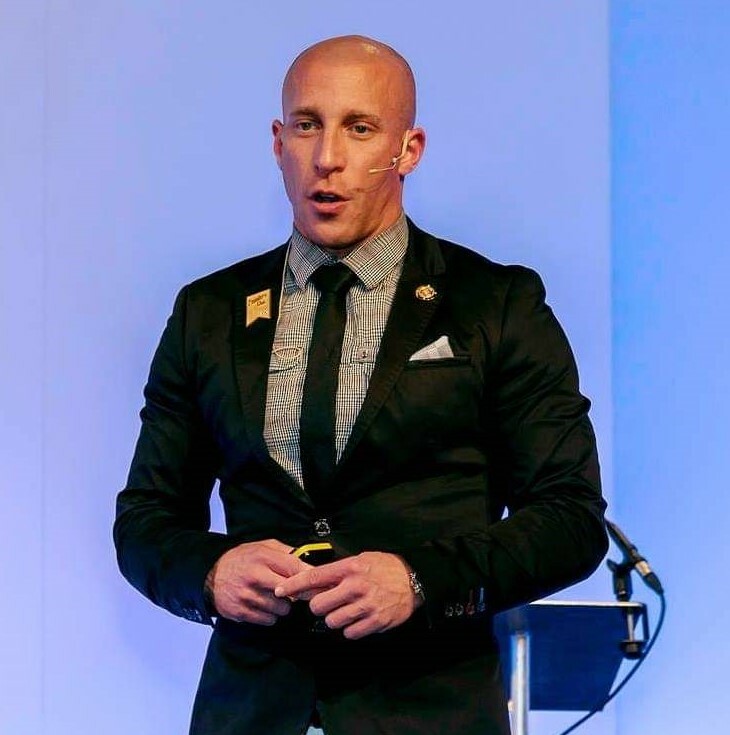 James Lavelle has worked his way to making seven figures in the industry, and he is known as one of the best! The best way to connect with and/or learn from James is to visit his website at https://jameslavellementorship.com/, or contact him on Instagram @jameslavellementor.